Hey sister! Smell my nailz! Yep, I did that. You'll do it too. Trust. 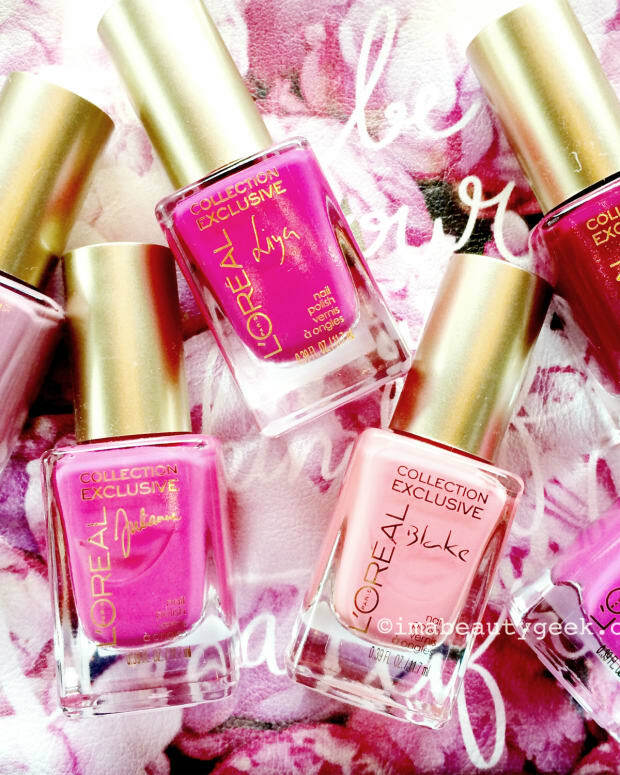 There’s a new L’Oréal nail polish comin’ to town and it’s a mouthful-of-a-name. 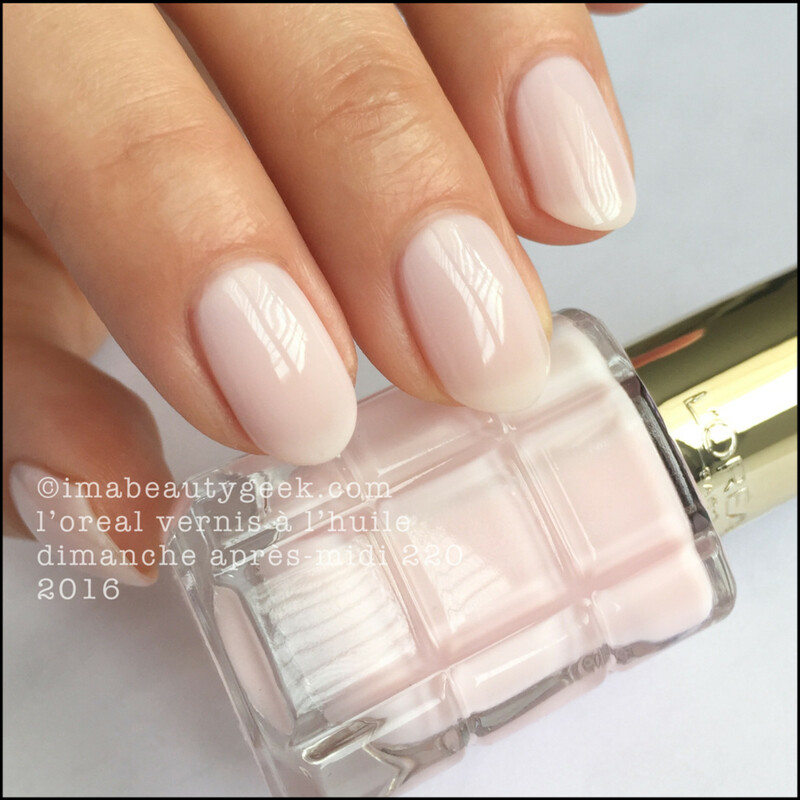 L’Oréal Le Vernis à L’Huile by Colour Riche launches mid-June in Canada and I’ve spent a little time with it so you can see what it’s all about. 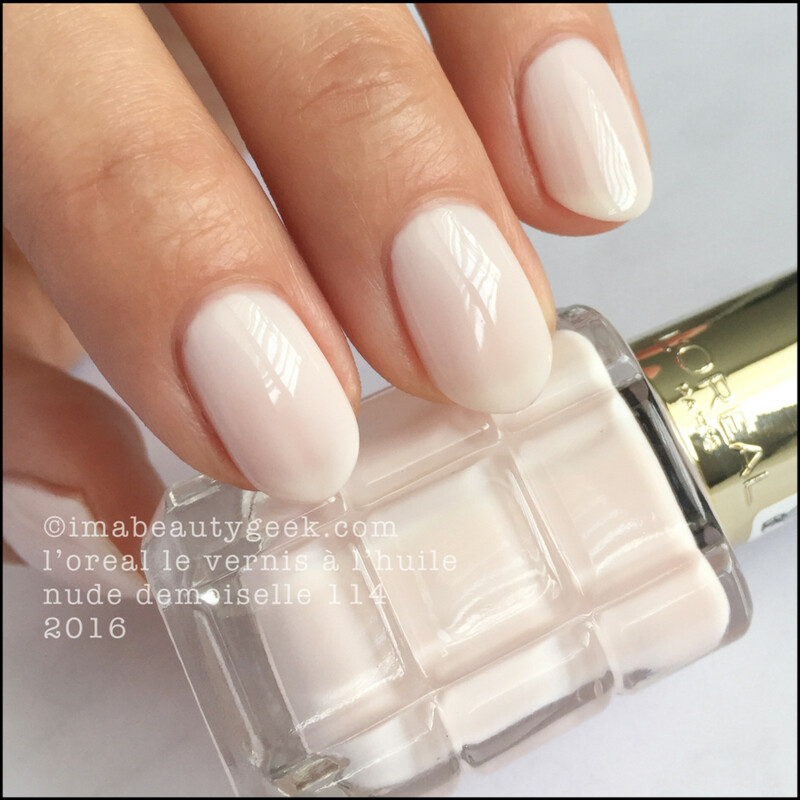 L&apos;Oréal Dimanche Après-Midi 220 (above). Oh yeah, and as they dry (and after they’re dry), they also “feature an ultra-feminine and luxurious scent.” At the launch event here in Toronto, in a room full of press, PR, and one Tom Bachik, I hollered at my sister “Hey! Smell my nailz! !” Yep, I did that. 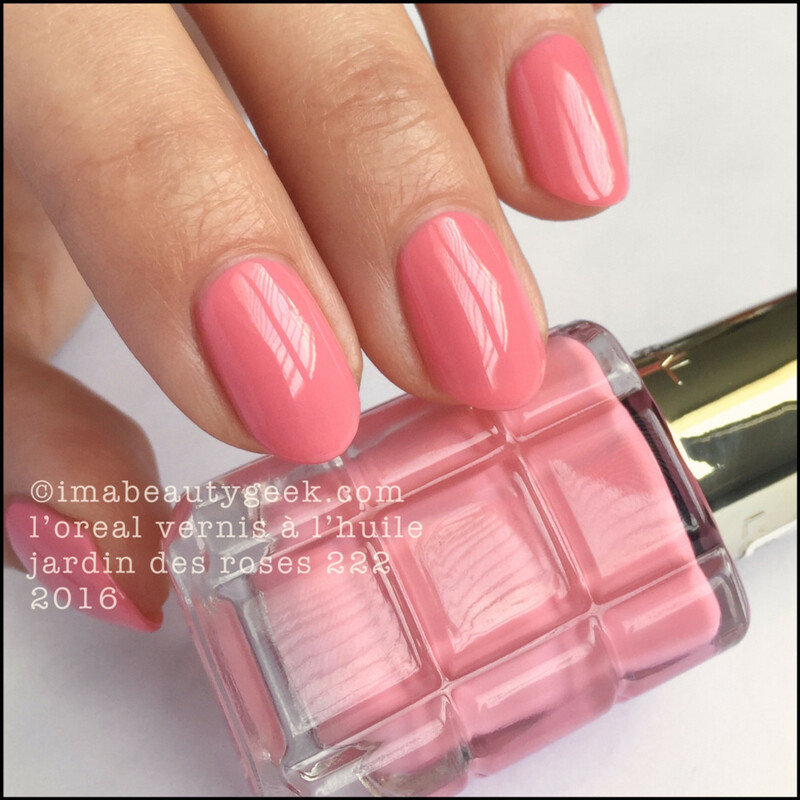 L&apos;Oréal Jardin des Roses 222 (above). What else can I tell you about it? There’s the bottle. It’s a real pretty cut glass kind of deal that looks lovely on my bathroom shelf. Simple and sophisticated (much like the shades), it’s really the thing that first caught my eye. 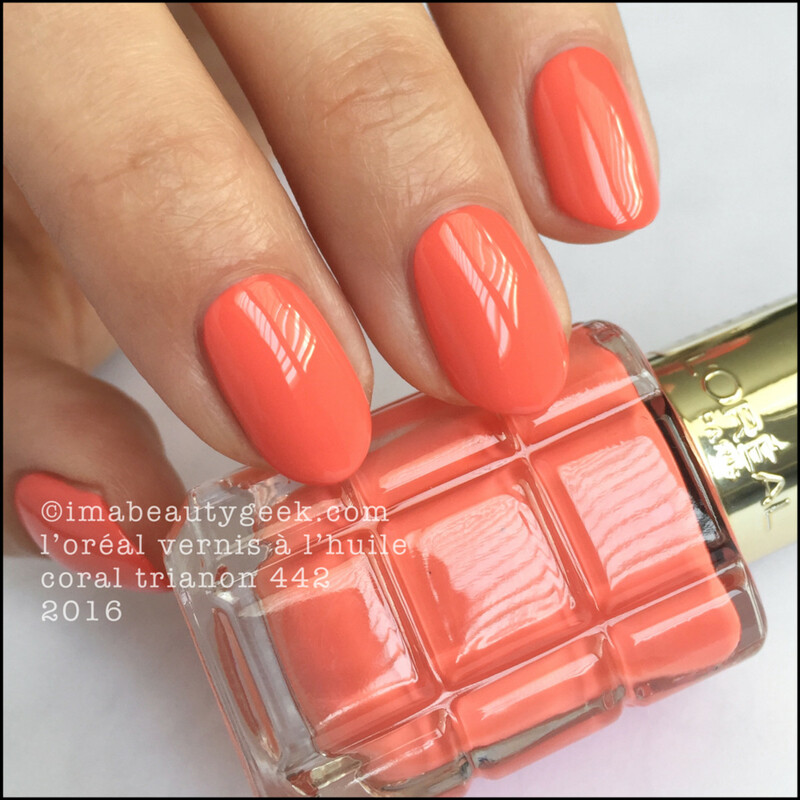 L&apos;Oréal Coral Trianon 442 (above). And how does the stuff apply? Unhhh… so good. 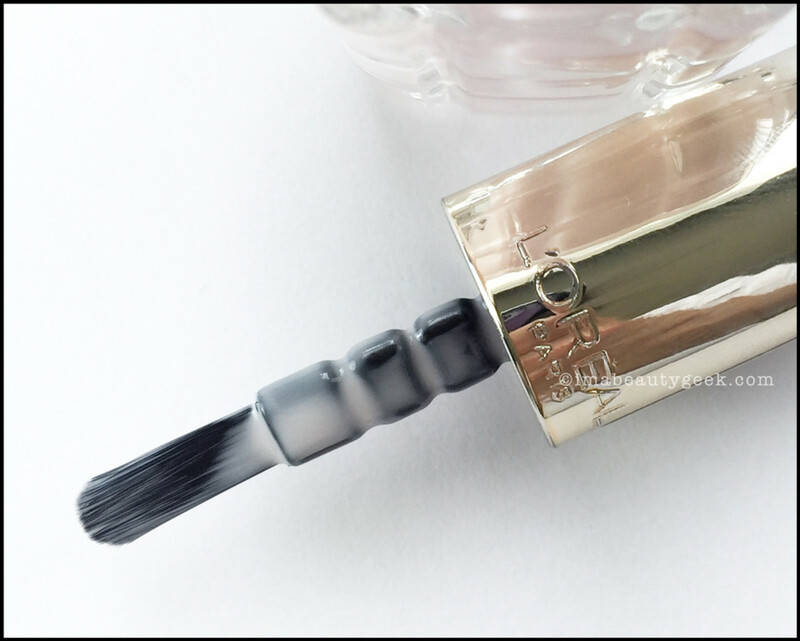 I think the brush is tops – it&apos;s right up there with my favourite brushes of ever. For real. The brush stem they&apos;re calling a "three-double-sqared stem" and while you might not think it does anything, it actually does: it slows gravity so you don&apos;t end up with the surprise-mega-blob that sometimes travels down the stem of a skinny brush and onto your nails. 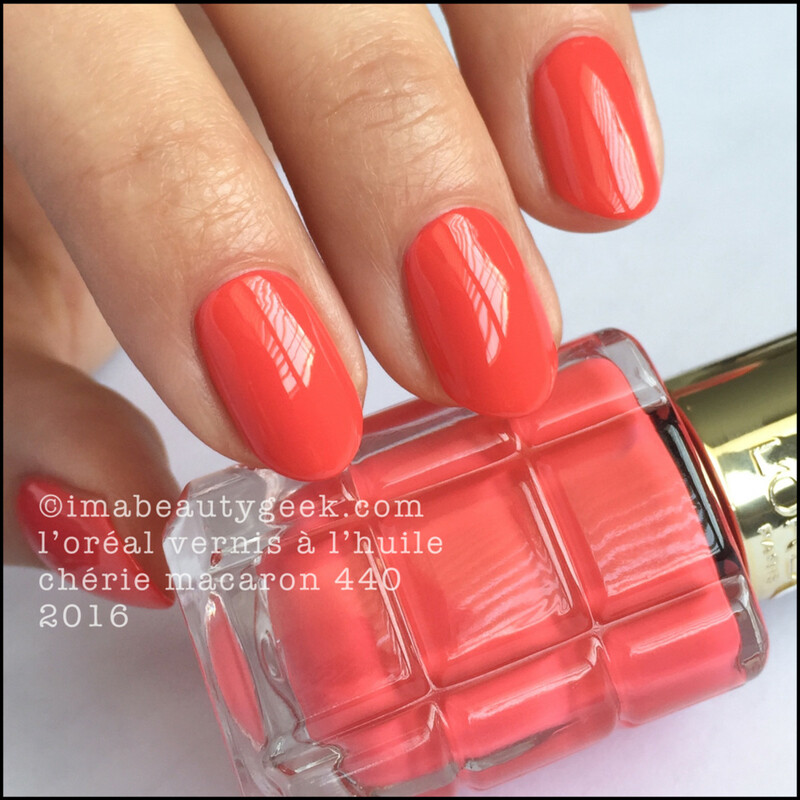 L&apos;Oréal Chérie Macaron 440 (above). I can get almost full coverage with one even stroke on most of my nails. Of course, depending on the size of your nails, your technique, and the pressure applied to the brush, your results may vary. 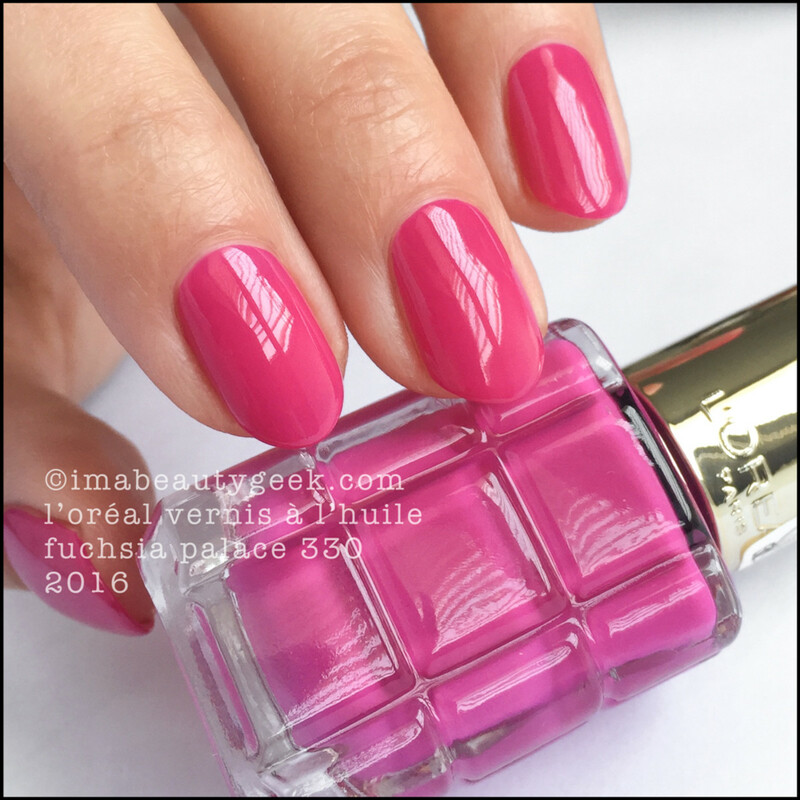 L&apos;Oréal Fuchsia Palace 330 (above). OCW!! Did I use base coat for any of this? Nope. Did any of it stain? Nope. Did I use top coat? Nope. Is it really that shiny? Yep. 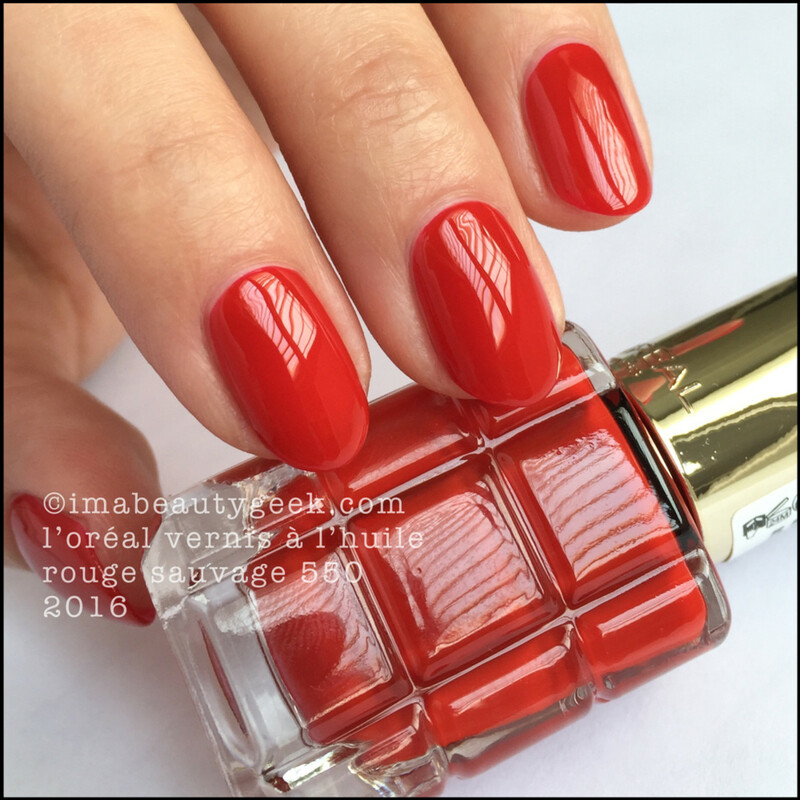 L&apos;Oréal Rouge Sauvage 550 (above). For optimal results, I did two coats for eleven of these 12 launch shades. My first coat was a thin, somewhat transparent full-coverage coat. Full-coverage doesn’t necessarily mean opaque, know what I mean? "Full-coverage" just means there’s polish over all the nail surface. It can be streaky and uneven, but it’s there. The second coat I just floated right over the first. I had zero issues with application. This stuff glides on like a dream. No cleanup, no fuss, no muss – just brilliant shine. 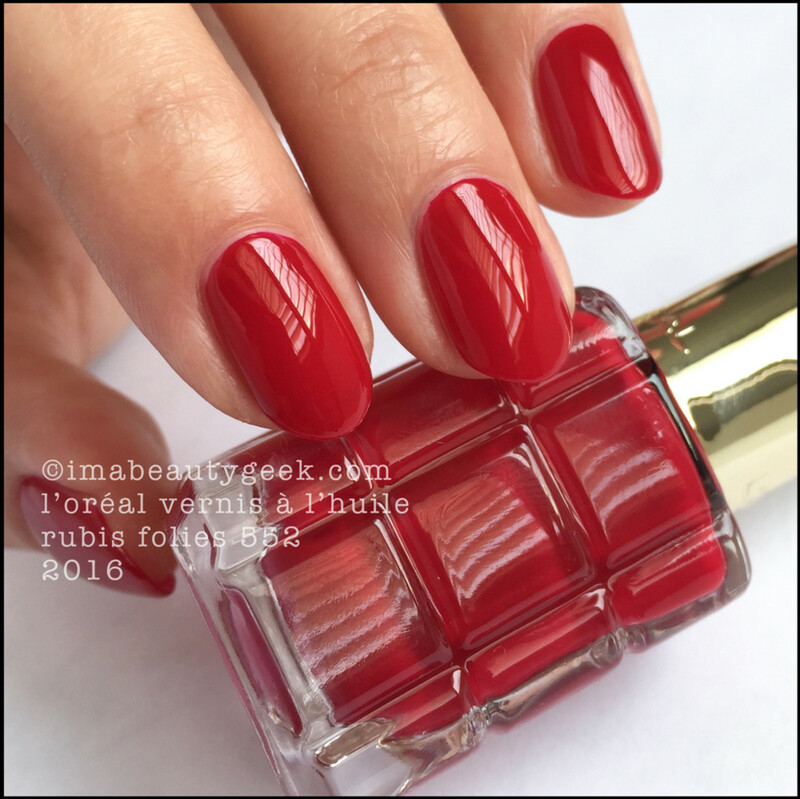 L&apos;Oréal Rubis Folies 552 (above). Dry time: normal. I’ve heard reports of this polish taking a long time to dry. I didn’t experience that, but I can imagine if you do thick coats, you’ll increase your dry time. 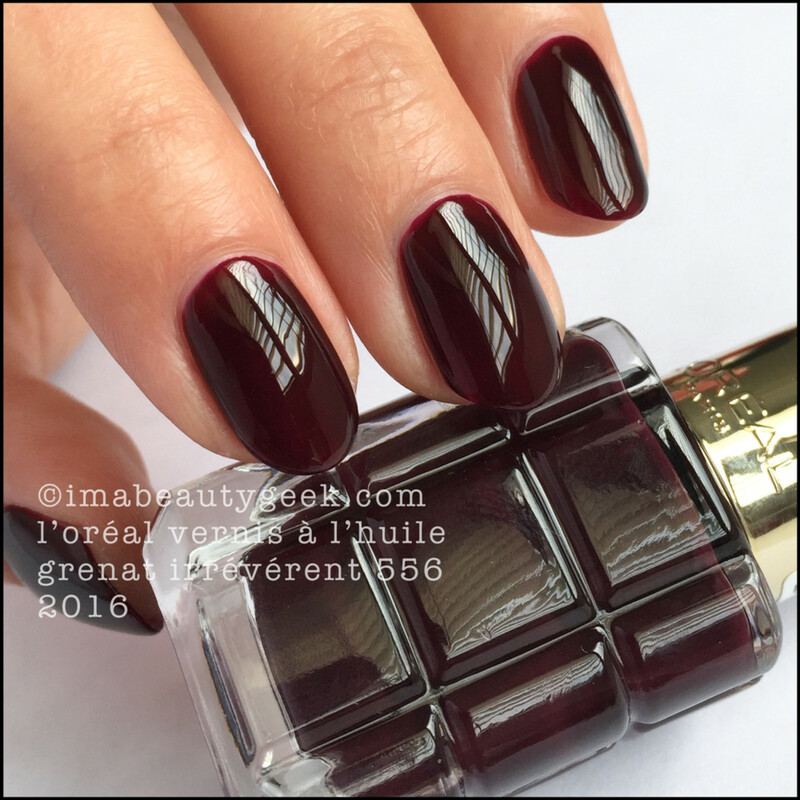 L&apos;Oréal Grenat Irrévérent 556 (above). Two thin coats are always better than one thick one, and while you’ll absolutely be tempted to do one thick coat, don’t. The formula can do it, but the dry time will kill you. Seriously, do one thin coat on all fingers, let the solvents escape and start the drying process, then go back and slap on your second coat. It works good. How do I know? Well I tried it. 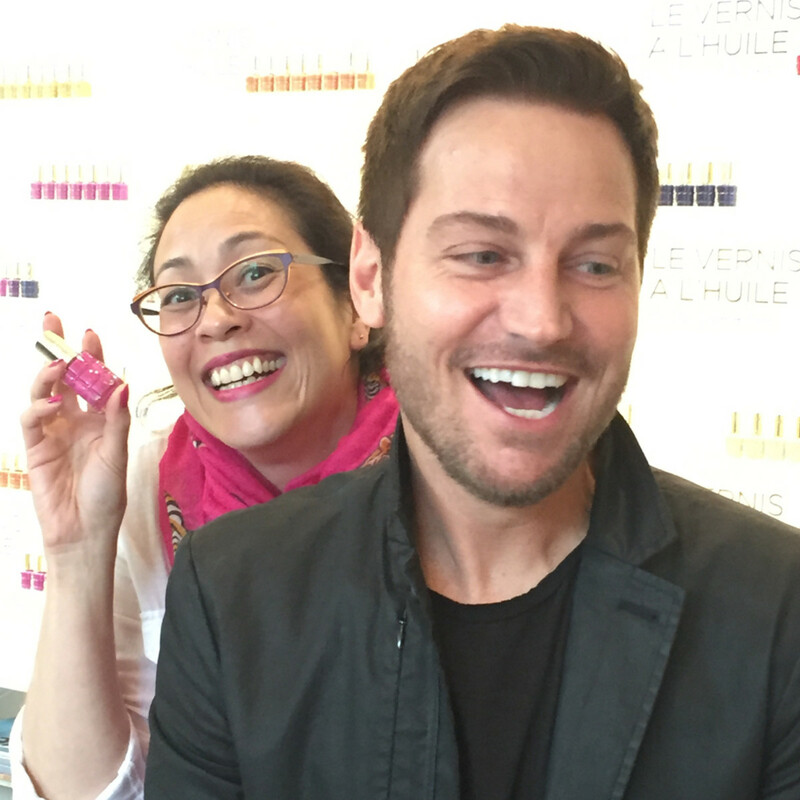 Also, Tom Bachik told me it’d work better. And then I photobombed him. Ha! A current trend is to match your lips &apos;n&apos; tips –achievement unlocked! So there you are friends and fellow polish junkies! 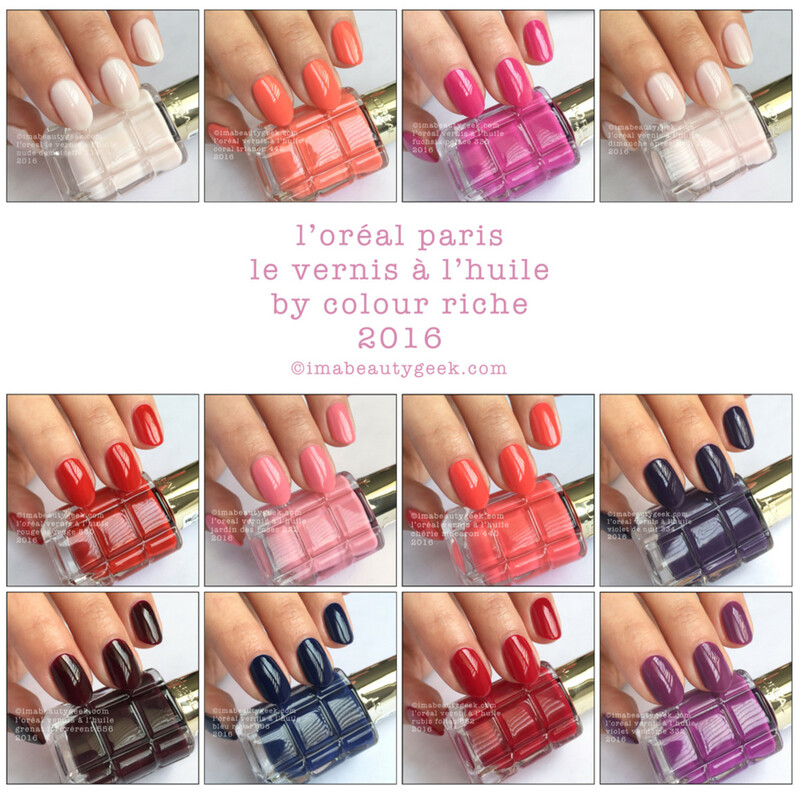 Your first look at almost half the launch shades of L’Oréal Le Vernis à L’Huile by Colour Riche. There are more shades and if I recollect, another four coming shortly after that. 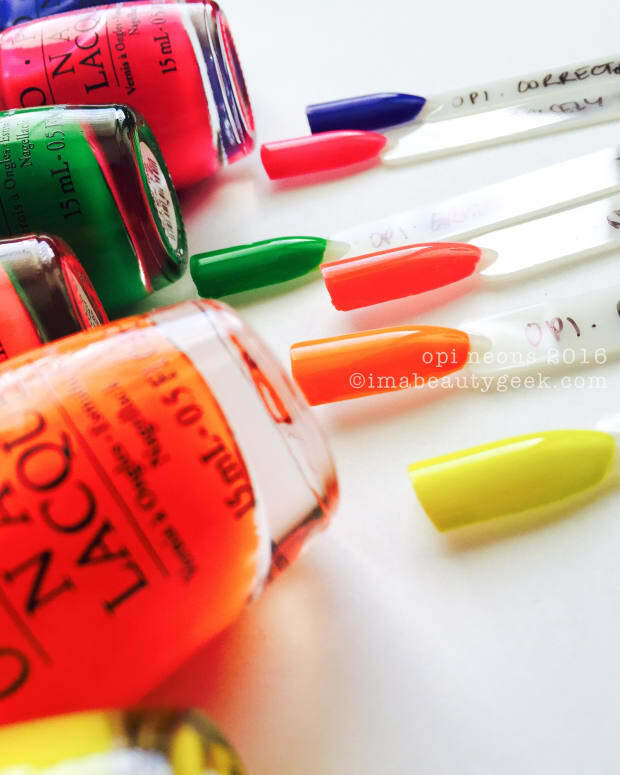 I’m trying to get my digits in them so cross your fingers for more swatches soon. 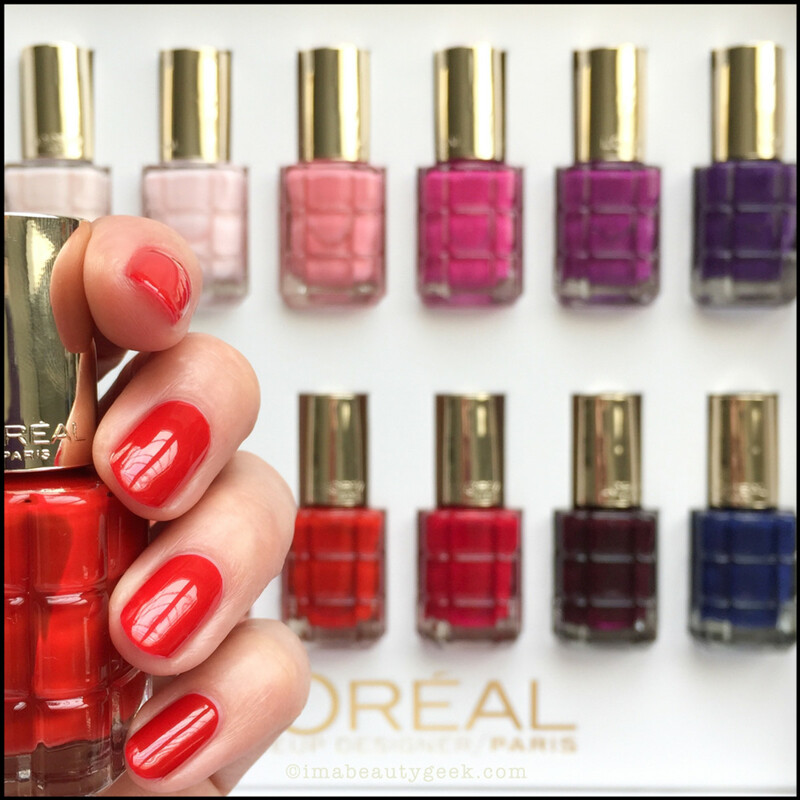 For more information, I invite you to visit lorealparis.ca a little closer to launch date. 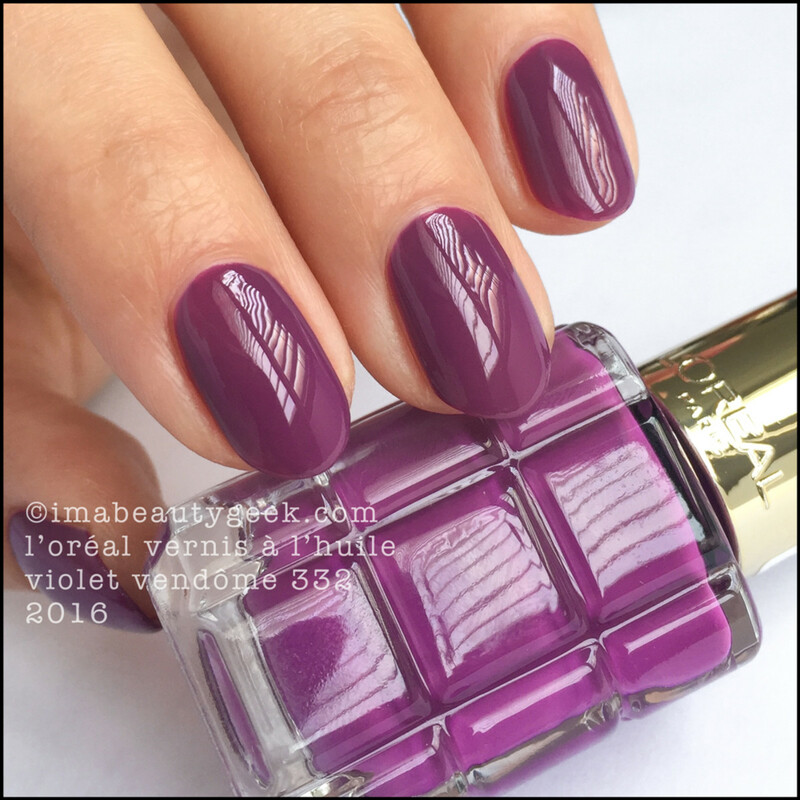 L&apos;Oréal Violet Vendôme 332 (above). You’ll be able to get your hands on these pretties ($10 each) at mass market retailers and drugstores all over the country as of June 14, 2016. UK&apos;ers already have &apos;em. 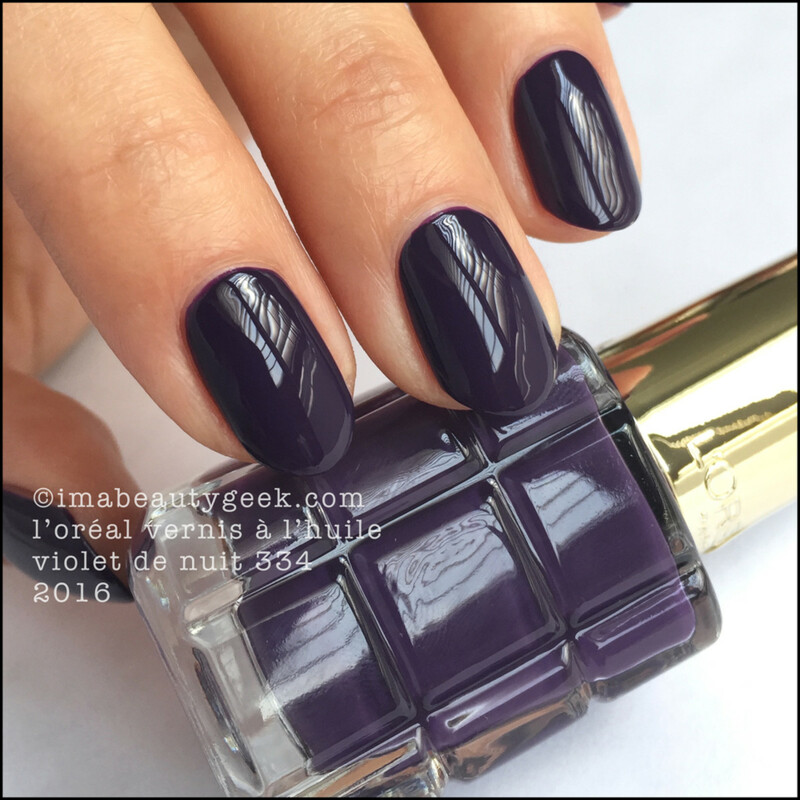 L&apos;Oréal Violet de Nuit 334 (above). And might I just give you a word of advice before I let you go? Uh, don’t eat finger foods if you’ve recently done your nails with this polish. It’s very, very weird to eat things like King Crab legs and be smelling the floral fragrance of the nail polish the whole time your fingers get anywhere near your face. I’ll go out on a limb and say skip the chicken wings and ribs too. You can thank me for that tidbit later. 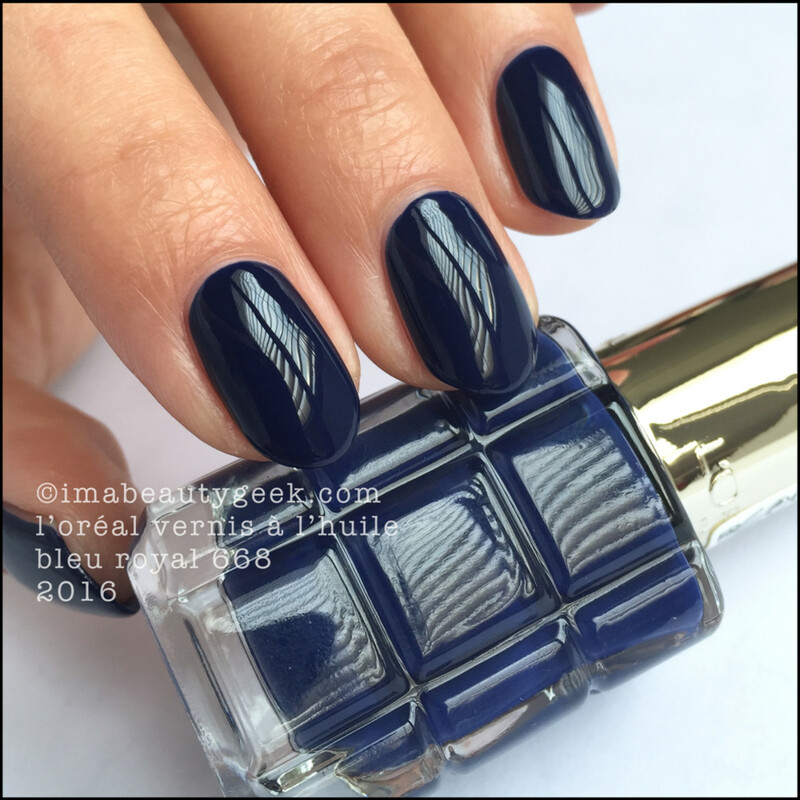 L&apos;Oréal Bleu Royal 668 (above). Now that you&apos;ve seen some of the swatches, whaddaya think? Me? I&apos;m in The Love and while I&apos;m often in The Like, I&apos;m not that often in The Love. I&apos;m kind of excited for you to try it and let me know what you think! Will you try? Just one? Manicures & Photographs Karen Falcon (it’s 4:20pm and she neeeeeeds breakfast! ).